Design Goals: Vehicle is designed to reach 50km manned and land safely. 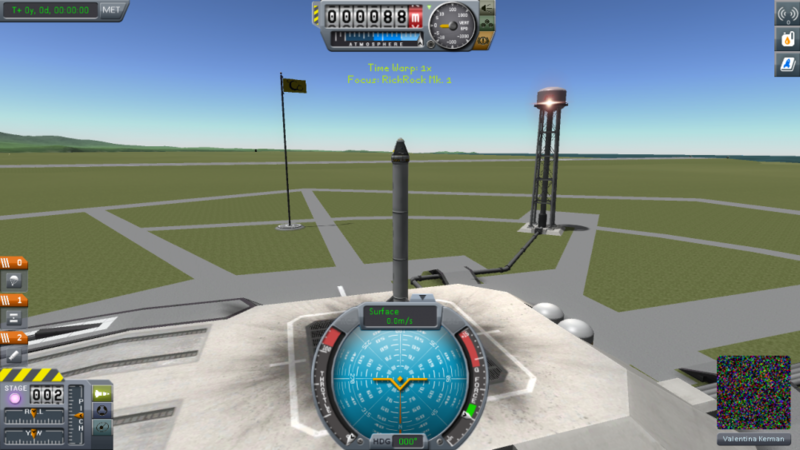 Launch Goal: Successful liftoff and ascent from the ground. 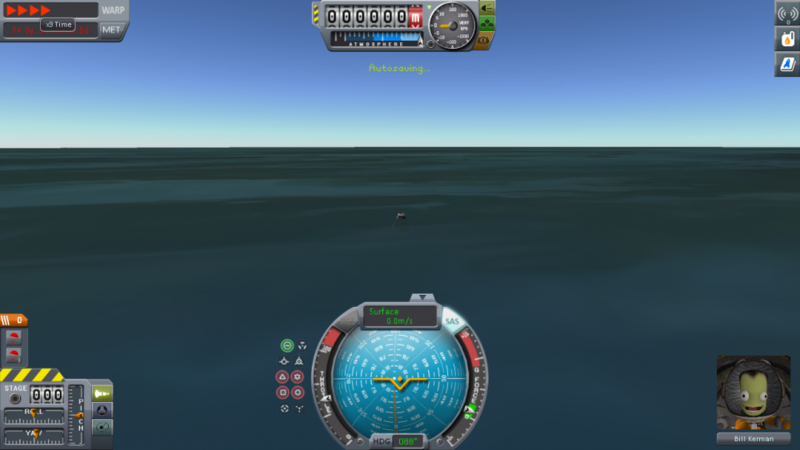 Safe return to surface after reaching 50km. 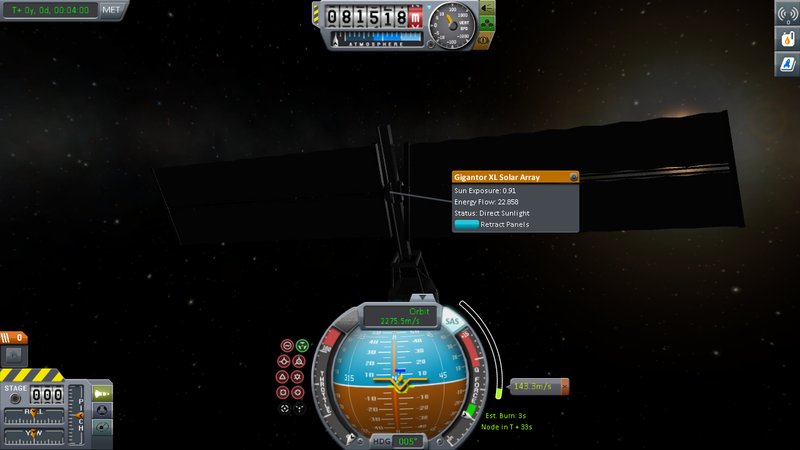 Pilot Plan: Reach 50m at 90 degree angle, then tilt to 75 degrees, decouple thruster when out of fuel, ready parachute. 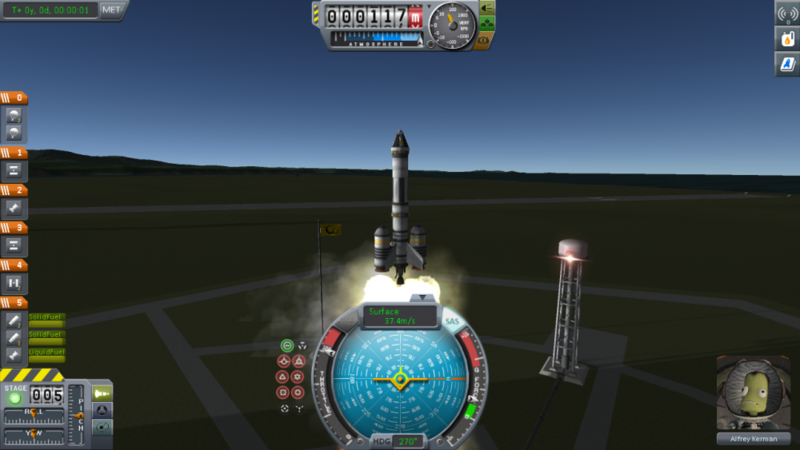 Summary: In our first launch we hoped to reach our first goal, a height of 50km, and were successful in this part of our plan. 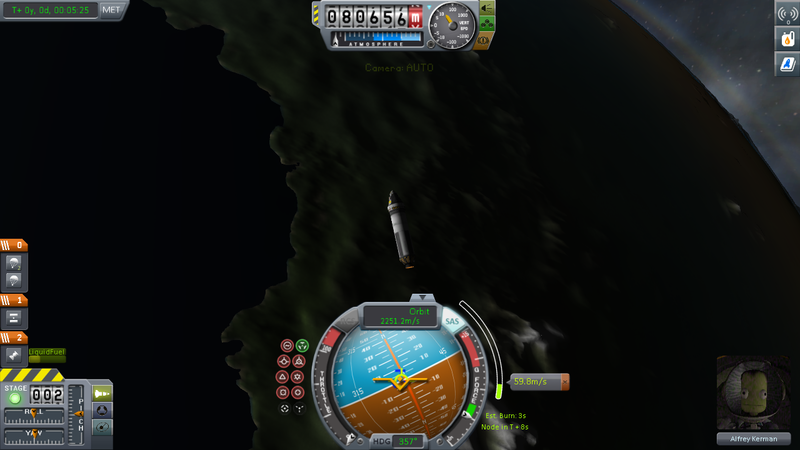 We reached a maximum height of 120,000km but upon reentry burned out our parachute and were unable to land safely, killing a Kerbal. 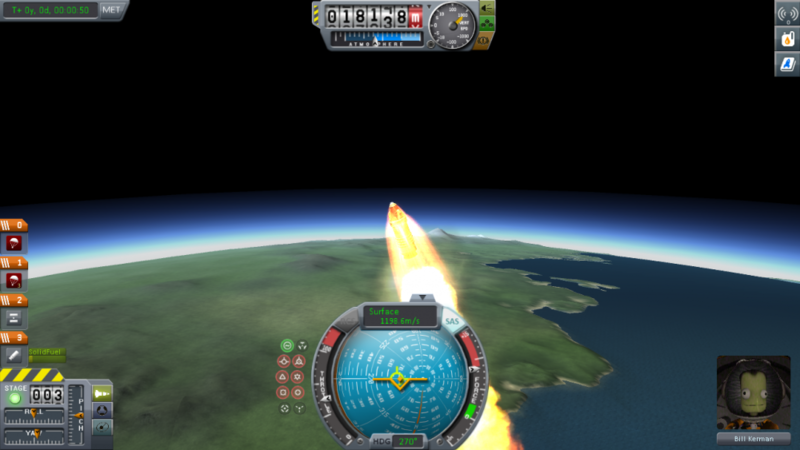 In our next launch we will alter our flight path by easing into a smaller angle at a slower rate. 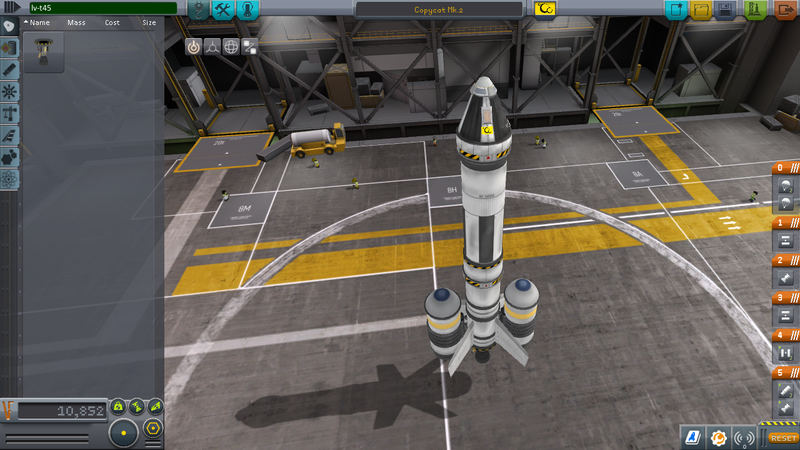 additionally we will remodel our rocket to have more stability. Design Goals: Designed to have an equivalent ascent, but a smoother and safer reentry. 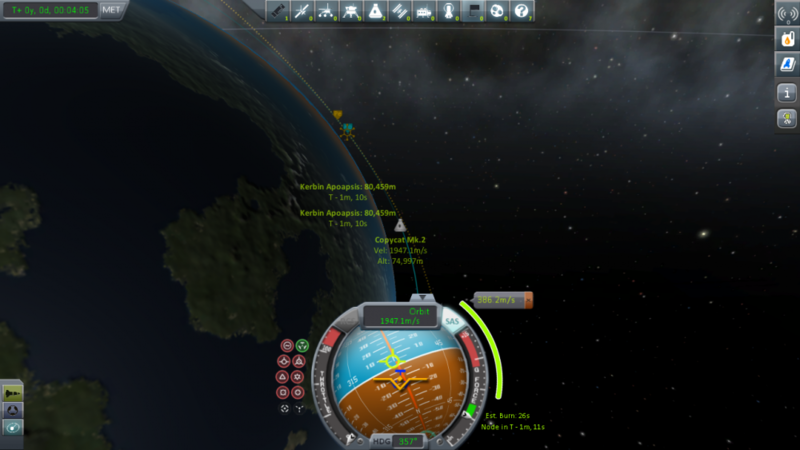 Using more parachutes and altering flight plan. 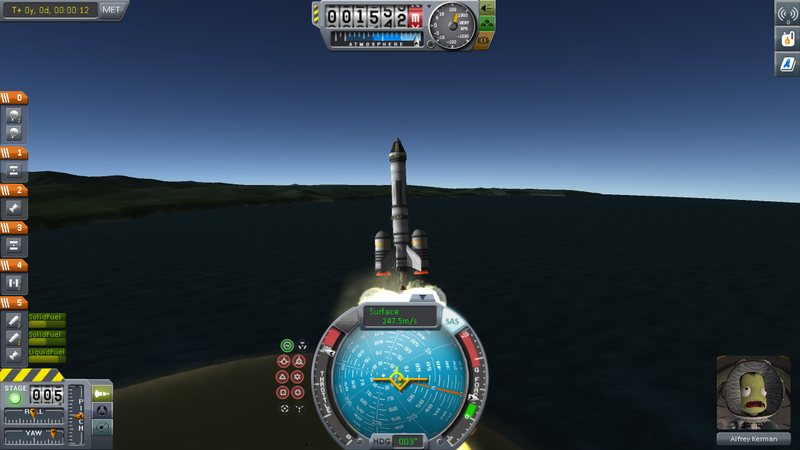 Launch Goal: To have successful launch and landing after reaching 50km. 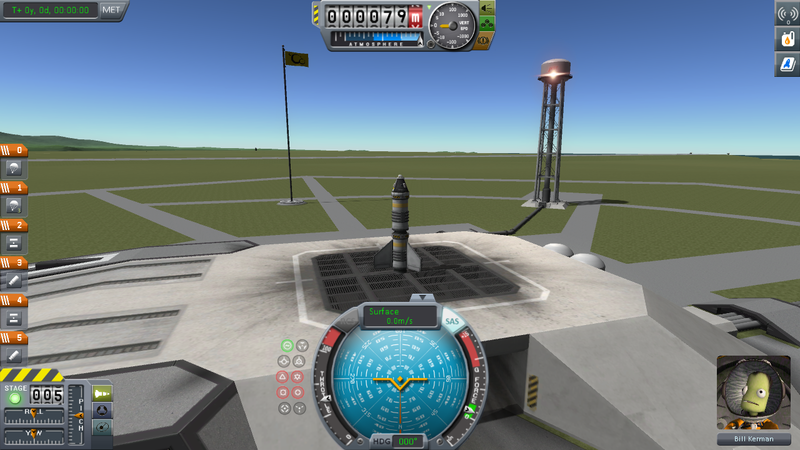 Our rocket was able to reach our goal of 50km, and landed safely. we reached a max height at 126km, and deployed parachutes at a speed of 400m/s, which allowed us to land safely. for our next flight, we would like to build a new rocket in order to enter orbit. 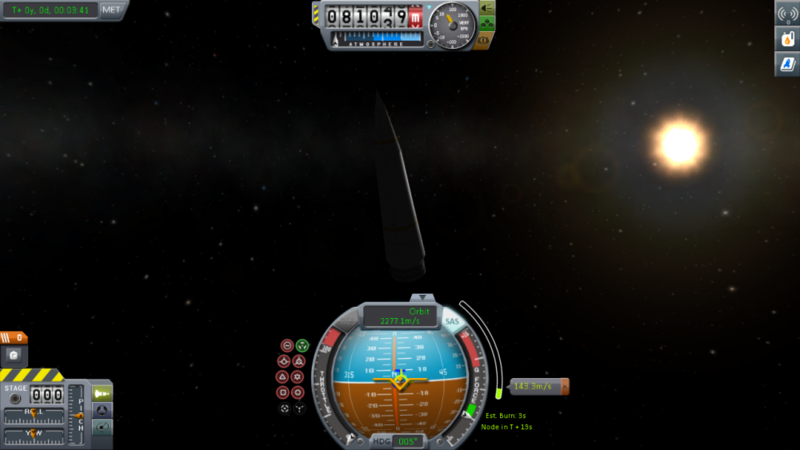 we are hoping to achieve with this launch are achieving orbit and preforming an EVA. 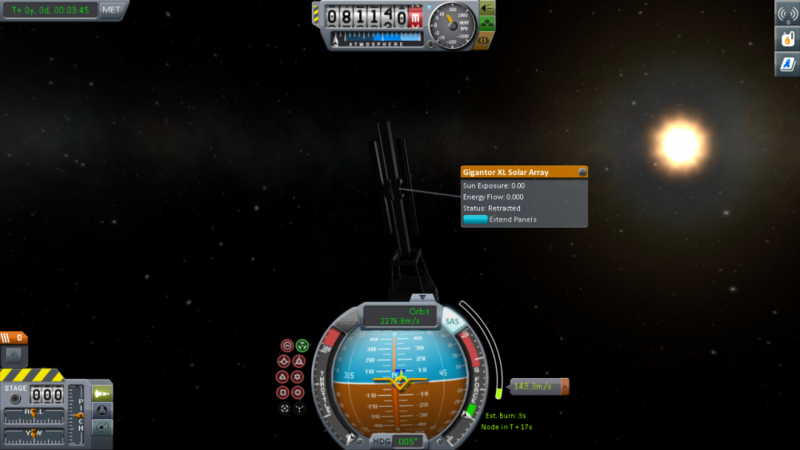 Fly at 90 degrees until velocity reaches 60 m/s, then begin turning slowly to 10 degrees. 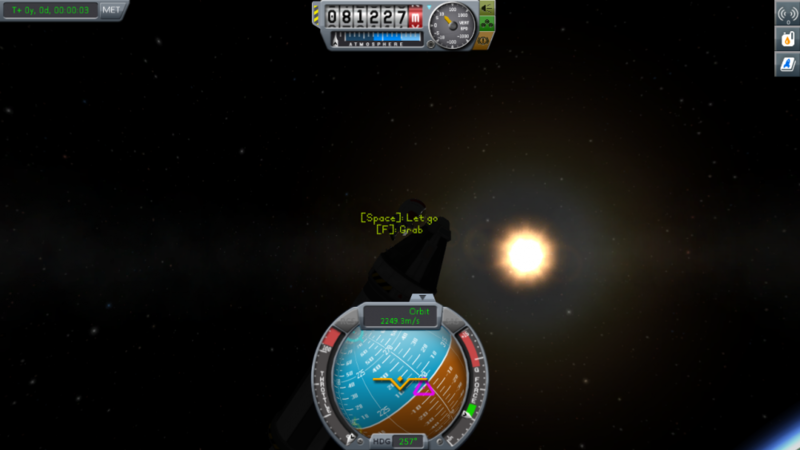 Once apoapis reaches over 80 km, cut engines and set maneuver to orbit Kerbin. 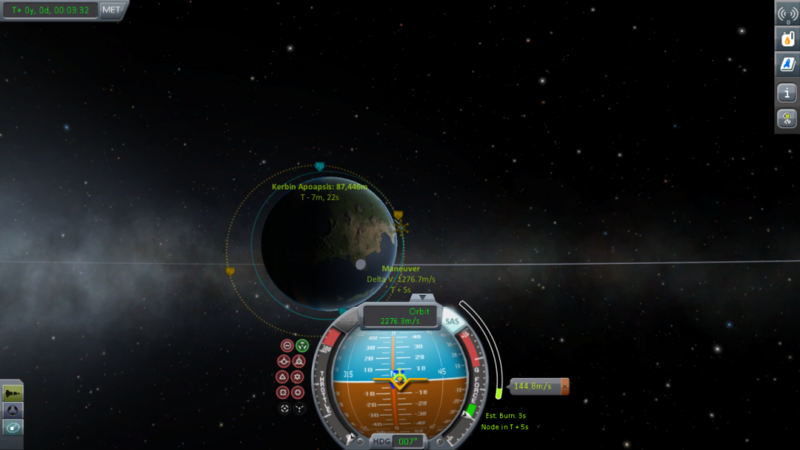 Once stable orbit is achieved, perform short EVA outside of ship. Play-by-Play: Rocket was able to escape the atmosphere. 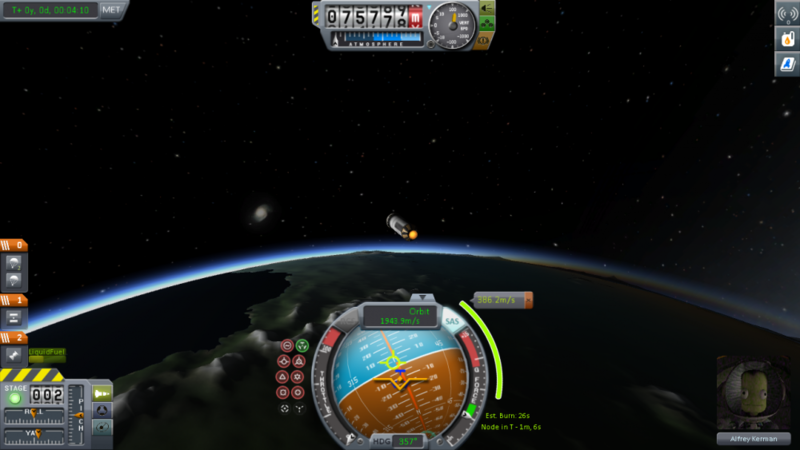 While ascent was shaky, stable orbit was achieved. A short EVA was performed once orbit was achieved. Summary: The mission was a success. 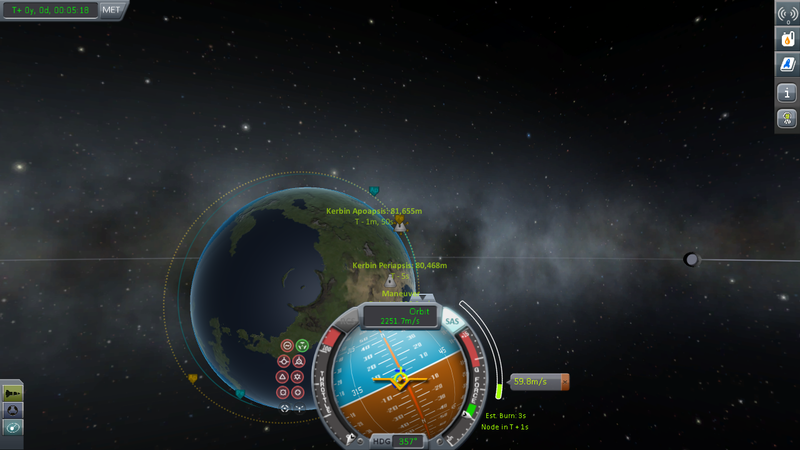 We achieved stable manned orbit, and performed an EVA. 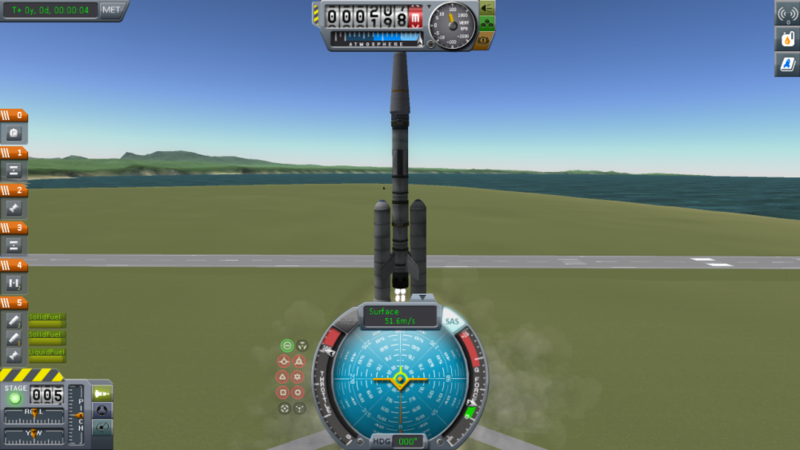 We faced the challenges of finding the correct angle to launch at in order to achieve our orbit, setting our course, and using thrust at the correct times. Opportunities / Learnings: The team learned that our momentum will carry us even if not using thrust, and how to use maneuvers to achieve the correct path. Congrats on the manned orbit and EVA!!! 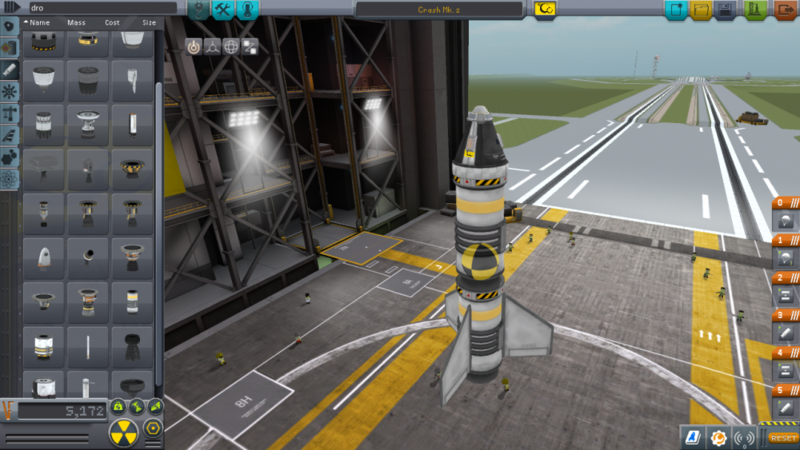 This rocket is a modified version of our Copycat Mk. 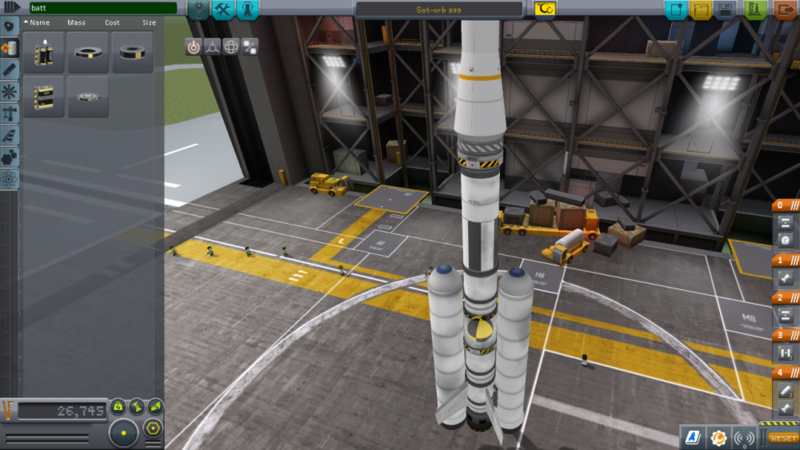 2 meant to put a satellite into orbit. The thrusters have been upgraded to account for the increased mass of the payload. 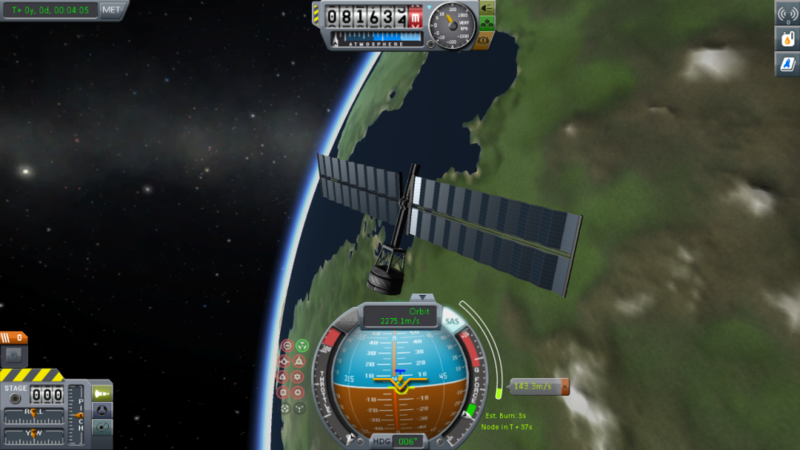 We plan to get a remote controlled satellite into orbit around Kerbin. Similarly to our Copycat, we plan to use our solid fuel boosters to accelerate upwards, beginning to turn towards a 10 degree angle. 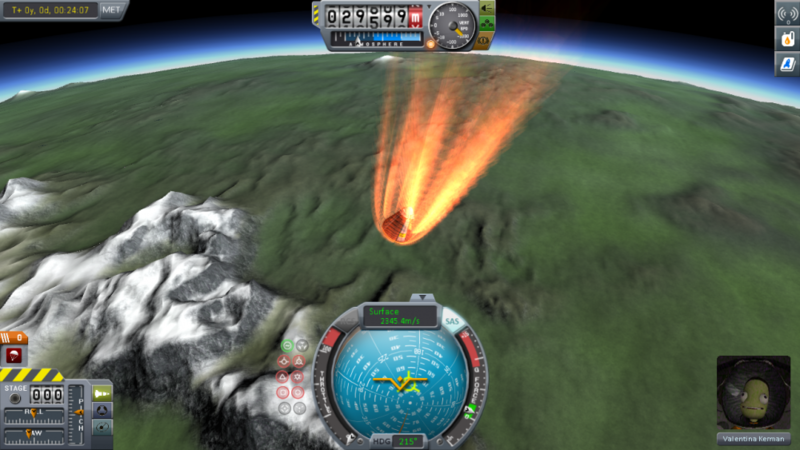 We plan to detach the solid fuel boosters once they run out of fuel, and stage our main engine off once it runs out. 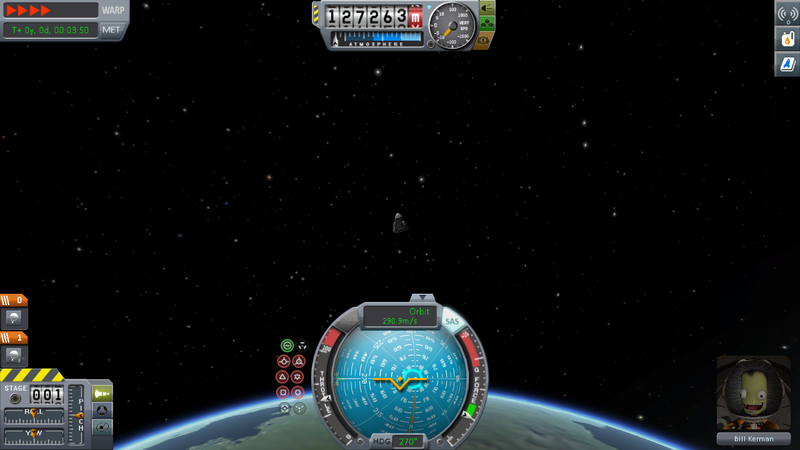 Afterwards, our secondary thruster will allow us to reach a height allowing us to maneuver into orbit. 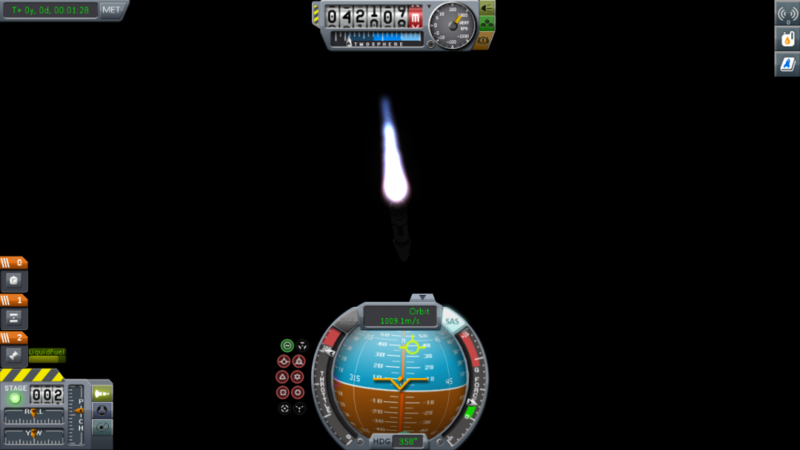 Used solid and liquid fuel boosters straight upwards until the rocket reached 60m/s, escaped atmosphere at around 10 degrees from horizontal, achieved orbit, and activated solar panels. 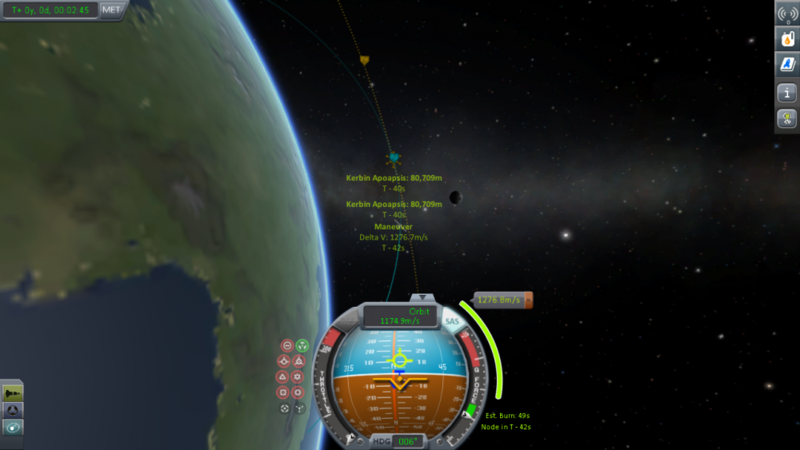 Summary: We were able to launch a satellite into orbit around Kerbin. Our rocket performed as expected. Opportunities / Learning: How to account for center of mass and weight of rocket components. 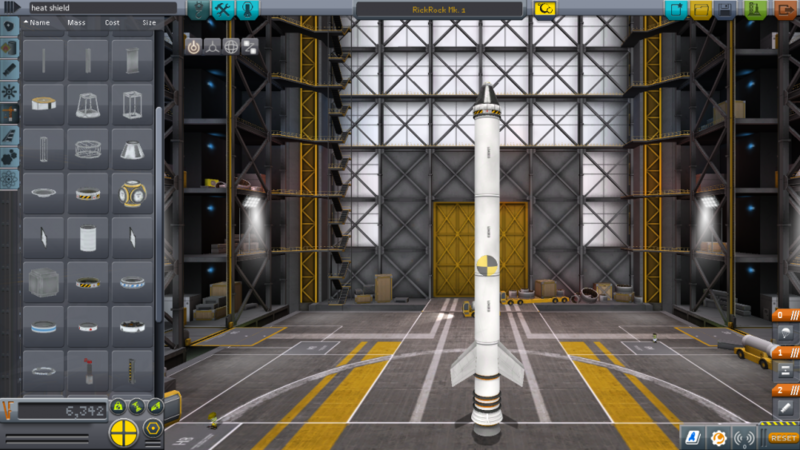 Strategies: This achievement allows us more room to construct bigger and better rockets, including the possibility of a lunar mission.